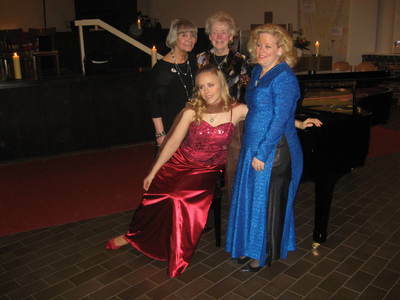 The "Nordic Sounds" was a co-operation project I had with the Finnish-Swedish sopran Ann Sofi Spångberg and the actresses Christa Heise-Batt and Inka Hahn. The idea was to present music and poetry from all five Nordic countries. The first concert of this project was in Norderstedt in 9th of February 2008. We performed songs and I played also piano solo pieces by Grieg (Norway), Sibelius, Merikanto and Palmgren (Finland), Rangström and Lindblad (Sweden), Langgaard (Denmark) and Einarsson (Iceland).